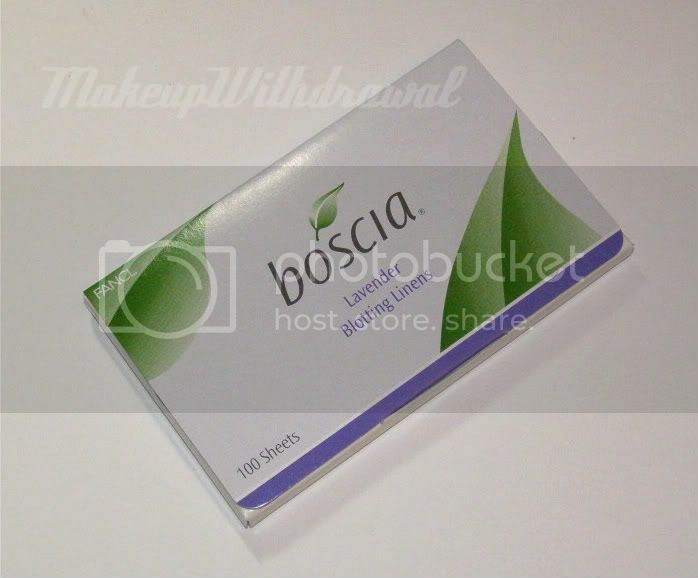 So a while ago, someone tweeted about Boscia doing a promotion deal- 'Like' them on Facebook and they would send you a free packet of their Lavender Blotting Linens. I'm a sucker for free stuff, so of course I did it, and I thought I'd do a quick write up about them. 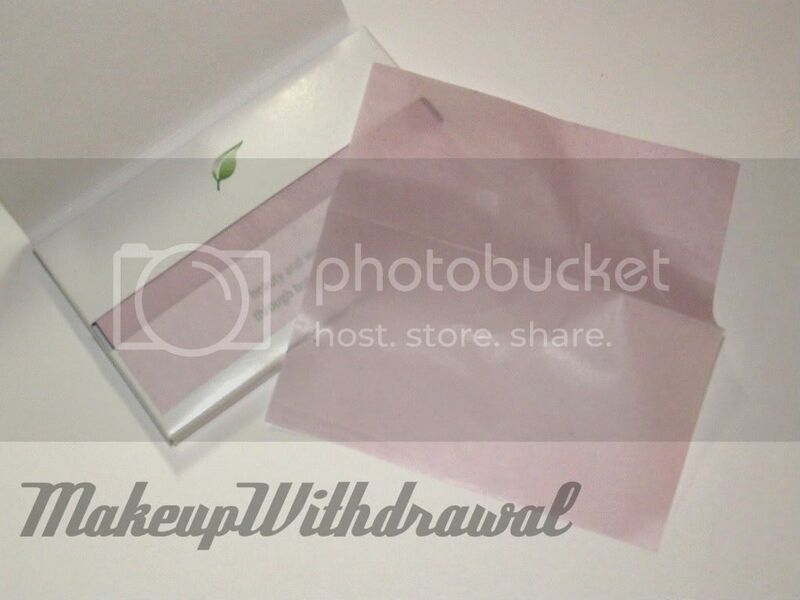 I've used the Boscia Green Tea Blotting Linens before and liked them. They did exactly what they're supposed to do- absorb oil off your face without messing up your makeup. The lavender ones worked similarly well, thin transparent sheets that are mineral oil free (surprisingly, some oil absorbing sheets have oil!). In fact, I really couldn't tell the difference between the green tea variety and the lavender ones other than the scent difference. Now, I really don't mind spending money on quality products but for some reason, I hate buying blotting sheets. I mean, why buy blotting sheets when you can cut up those paper toilet seat covers? To me, they work just as well and are free if you grab a few from the ladies' room the next time you're there (and if using something from a restroom grosses you out, you can always buy a back of 5 seat covers from Target or CVS for like a dollar or two) and I really don't mind that they're not scented or look pretty like decorative handmade paper. Anyways, Sephora carries the Boscia line and the Lavender Blotting Linens retail for $10. Product was given to me as a part of a free Facebook promotion from Boscia.